Gerardo Del Real of the Outsider Club believes the uranium and lithium spaces present opportunities for investors, and shares several stock picks in those markets. This year has not been as positive as some resource investors initially hoped, but many experts believe that just means opportunity is around the corner. Gerardo Del Real of the Outsider Club thinks just that, and speaking to the Investing News Network at the recent New Orleans Investment Conference he explained why. “[In] this space it’s a tough market right now for a lot of the juniors. This is exactly the time you should be identifying those quality management teams and writing cheques for them and purchasing the stock. This the ‘buy low’ part of ‘buy low and sell high,'” he explained. In terms of where he sees opportunity, Del Real pointed to uranium as a market where there are gains to be made. “This is my first year saying that I believe we’re at a bottom,” he joked, noting that he’s encouraged by supply cuts and the fact that utilities will have to come back into the market in 2019. Del Real also believes there is still room to make money in the lithium arena, describing it as “way oversold” from an equities perspective. 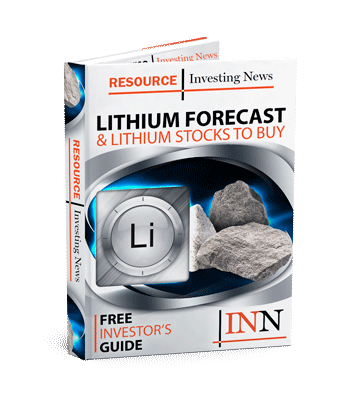 “The bottom line is there’s not a lot of great lithium assets in the world. So find juniors that have strategic locations, plenty of water, good management teams,” he said. Watch the interview above for more insight from Del Real, including several stocks he likes in the uranium and lithium spaces. You can also click here to see the full New Orleans Investment Conference playlist on YouTube. Editorial Disclosure: Advantage Lithium, Azarga Uranium and Energy Fuels are clients of the Investing News Network. This article is not paid-for content.